Finalists for the 8th annual hennemusic Rock News Awards are chosen by readers: results are based on total page views (Rock News Story) and the combined page views of the top 50 hennemusic rock news stories of the past twelve months (Rock News Artist). Today we unveil the No. 1 hennemusic Rock News Artist Of The Year! When The Eagles suffered the loss of co-founder Glenn Frey in 2016, there was no way to know if one of the best-selling bands in the world would, or could, continue without the man who started it all. Less than a month after Frey’s passing, the surviving members teamed up with Jackson Browne to perform a tribute to the late Detroit rocker at the Grammy Awards in Los Angeles, which Don Henley declared as the group’s farewell during a BBC interview a few weeks later. After more than 150 million albums sold worldwide, the band members returned to the road to continue their respective solo careers. A Kennedy Center Honors recognition in December of last year – postponed from 2015 while Frey underwent surgery to address a recurrence of previous intestinal issues – finally took place and served to, perhaps, deliver some closure for the group and their fans. Then, in late March, The Eagles made international headlines when they announced plans to headline a pair of self-produced festivals in July: The Classic West at Dodger Stadium in Los Angeles and The Classic East at Citi Field in New York. During a mid-May interview with a Dallas sports radio station, Henley leaked the news that Glenn’s son Deacon Frey would join the band for its summer 2017 appearances, while adding that a second musician would also be a part of the lineup – later revealed to be country music star Vince Gill. On July 15, The Eagles debuted their new lineup with a headline set on the opening night of The Classic West Festival at Dodger Stadium. Deacon and Gill handled vocals on tunes originally sung by Glenn as fans roared their appreciation, with fellow Detroit rocker and longtime friend Bob Seger on hand for a guest appearance on the 1979 hit “Heartache Tonight” late in the show. Prior to their appearance at The Classic East event, The Eagles announced they would perform at their third festival, The Classic Northwest, in Seattle, WA in September. The band delivered another set at The Classic East event in New York later that month and, with renewed interest in the group so high, simple news that Joe Walsh was scheduled to perform on CBS-TV’s The Late Show With Stephen Colbert went on to become the No. 2 Rock News Story Of The Year as part of the 2017 hennemusic Rock News Awards. Walsh played the full-length album version of his 1978 classic, “Life’s Been Good”, with house band Jon Batiste & Stay Human on the CBS-TV program on August 2 to thunderous applause from the audience at The Ed Sullivan Theater. The Eagles announced a handful of fall US dates in mid-August, and went on to release a series of expanded 40th anniversary editions of their 1976 album classic, “Hotel California”, in November. 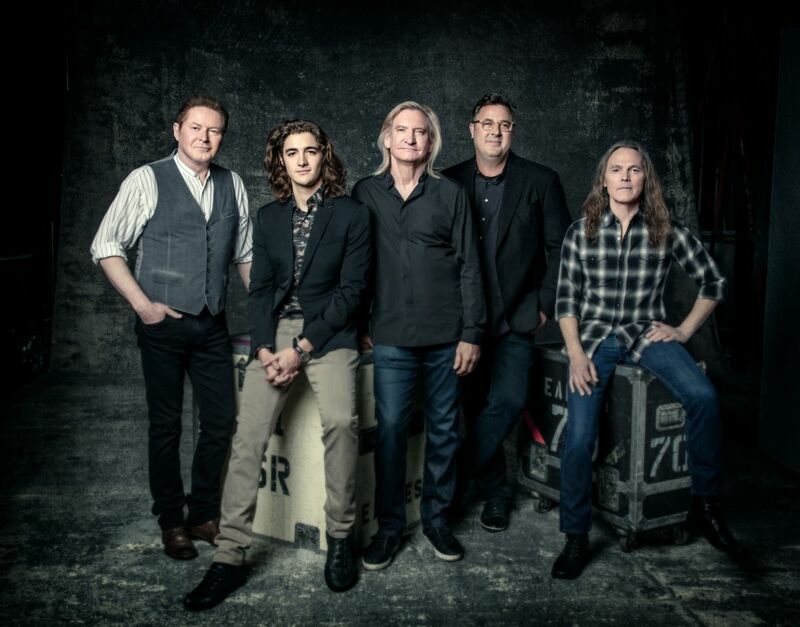 With the fall shows complete, The Eagles announced the first series of dates for a 2018 tour of North America, and promptly added more than a dozen shows to the schedule due to overwhelming demand.